A beginner's guide to American tea history. Why does it take so long for Americans to discover loose-leaf? Which country consumes the most tea each year? According to the Datamonitor 2003 survey, Turkey comes first, followed by the United Kingdom. It is not surprising. The Brits are renowned for their tea drinking culture. Each person consumes an average of 2.1 kilograms each year. In fact, tea drinking influences British society so much that English dietary habits changed. Breakfast and dinner added tea to the menu. Dinner evolved into two types of afternoon tea service: high tea and low tea. In contrast, Americans have a reputation as major coffee drinkers, not least because of the proliferation of coffee houses such as Starbucks across the world. Why the contrast? What turned the United States into a coffee rather than tea drinking nation? When maritime trade flourished in the 17th century, Chinese tea export took the Western countries by storm. America Governor Peter Stuyvesant brought loose tea to New York in 1670. It was so popular at one time that New York consumed more tea than all of England combined. Unfortunately, that didn't last long. To regain control on the wayward colonies, the British decided to impose tea taxes. The result? Tea boycott and the Boston Tea Party. At that time, Americans consumed far more tea than coffee. To protest against British imposed taxes, Americans stopped drinking tea as an act of patriotism. In 1773, a group of US colonists boarded a British and dumped its entire tea cargo into the harbour. 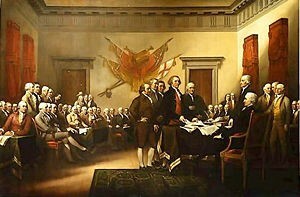 It marked the beginning of American independence from Britain and precipitated the Revolution. Amazingly, it is also the reason why tea is not subject to import duty today in the United States. Fast forward to 21st century. 80% of Americans still drink iced tea. The remaining Americans drink hot tea in the form of tea bags. But that is fast changing. Loose green tea is booming and re-gaining its appeal.